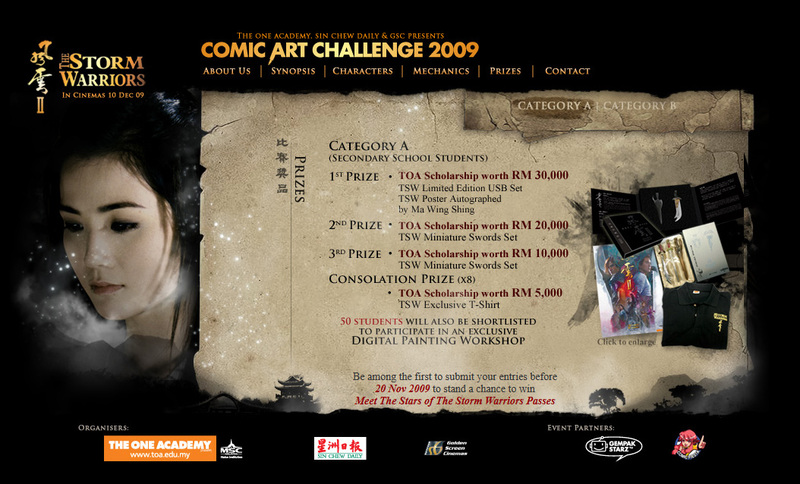 Comic Art Challenge is national creative art competition. 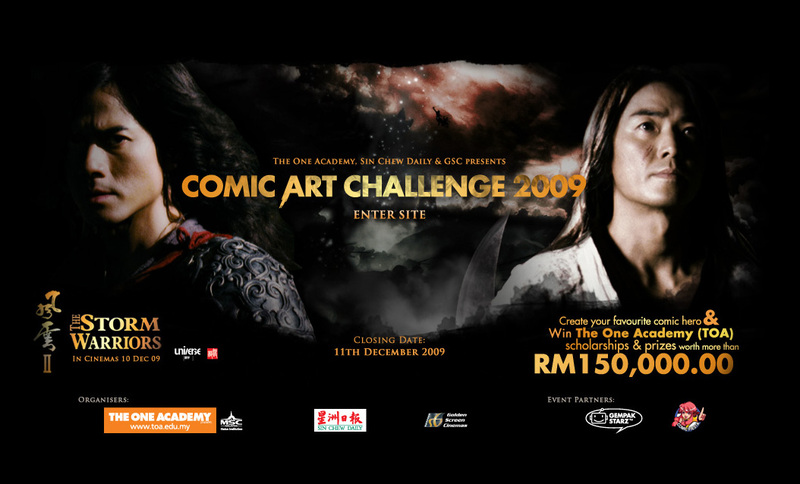 Every year, they team up with the press and movie companies in order to come out with a theme based on the latest movies. 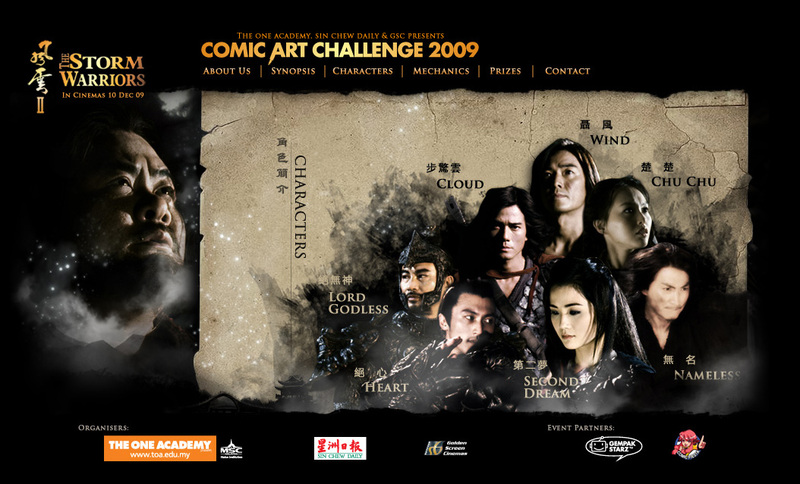 In the year 2009, the theme and concept was surrounded within the Hong Kong movie “Storm Warriors”. 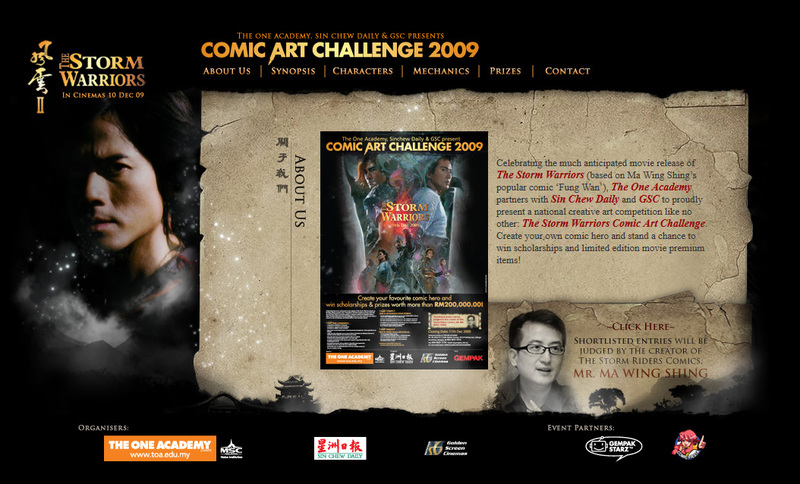 I was assigned to come out with the designs and micro site. 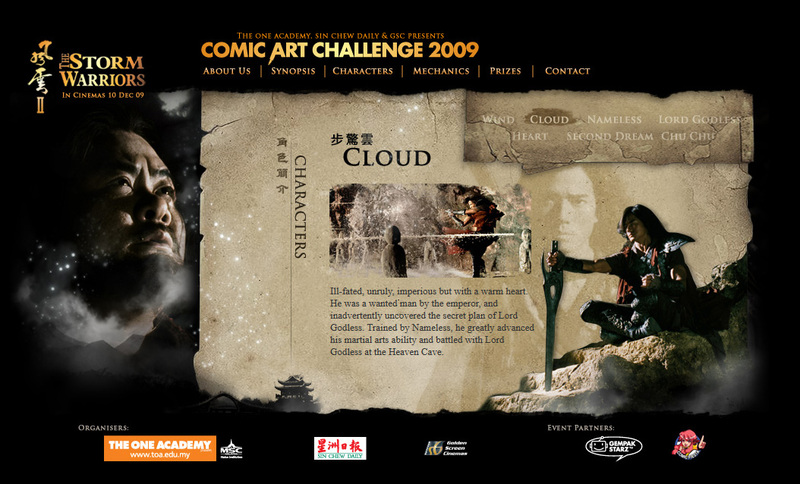 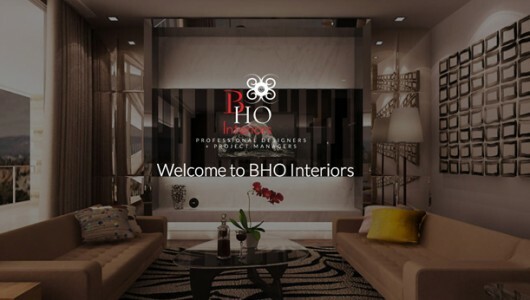 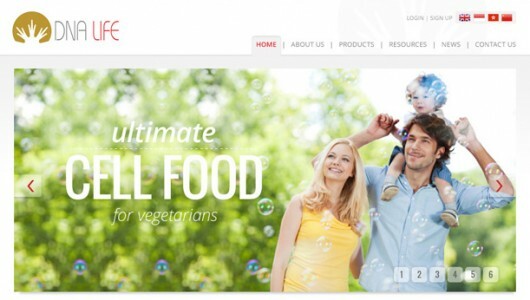 Based on the movie settings and plot, I was able to compose a themed site that was visually strong and professional.